The Chocolate Tofino Bear is a true West Coast experience! Available in Milk or Dark chocolate, this delightful bear is hollow and filled with little chocolate fish and sea creatures. Our bears stand approximately 5" tall and are filled with a mixture of milk and dark chocolate fish, then wrapped in cellophane with a shiny gold Chocolate Tofino decal. 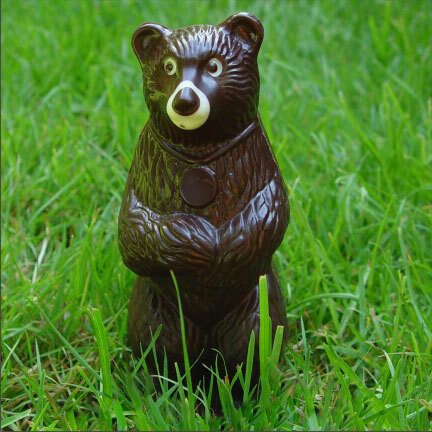 The Chocolate Tofino Bear makes a great gift!